Best time to visit : every season is special in kerala and has its own charms. God's own Country, as some refer to it, Kerala isa paradise of sandy beaches and waving palms. This south-Indian state is famous for its sumptuous spice plantations, vast tea gardens, wildlife reserves and coconuts. The tropical climate of the state makes it a perfect visit through-out the year. Tourists can enjoythe lush beauty of its grasslands, serene topical backwaters, golden beaches, high mountains and large green rain-forests. Kerala has something to offer to very kind of tourist. Whether you are here for a romantic honeymoon trip, an adventure-filled holiday, or a relaxing getaway, the state will provide you with opportunities to have a once in a life time experience. World-famous for its Ayurvedic treatments and spas, Kerala has cure for almost every illness. Kerala is the best example of how different religions can co-exist in harmony. Hinduism, Islam and Christianity are the major religions among many others including Buddhism, Jainism and Judaism. This beautiful southern state is also the one with the most literacy rate in India. Though Malayalam is the official language, English is widely spoken. It is also referred as Keralam by the locals who are very fond of coconuts that grow in abundance in the state. Food is served in a very traditional way, on a large banana leaf, and consists of various dishes. Rice, coconut and non-vegetarian food items including sea-food are widely liked. Famous food items include Idli, Vada and Payasam. Banana chips are also famous as snacks in the state. Alappuzha (Alleppey): Known as the Venice of the East, this is a famous tourist destination in Kerala. You can enjoy the Kerala Backwaters by participating in snake boat races or by renting a house boat here.Overnight canoe trips and bamboo furniture making classes are also fun activities that you can try. Eat at: Chakara Restaurant on Beach Road that combines European and Keralan dishes. Shop at: Lavender Collections, for souvenirs, art, apparel and hand-made accessories. Kochi(Cochin): Queen of the Arabian Sea, Kochi is the heritage city of Kerala. It has forts, several museums, and galleries. The most visited destination is Fort Kochi. Visit the Princess Street to view colonial European architecture. Bastian Bungalow in the fort is a typical example of Indo-Dutch Architecture.Hill Palace Museum is another popular place to go. Eat at: Banana Leaf, Royal Food Court, BTH Kempu, and Arctic Circle offer good food. Shop at: Isidore Art Palace inJew town will ship art and antiques outside India; also visitLulu Cochin Mall, the largest mall in Asia with all major National and International brands. Kovalam: Known for its world-famous beaches, Kovalam ispopular among tourists because of its serene environments, shallow waters, and a relaxing atmosphere. Haylon Castle build at a rock top near the beach attracts tourists to view and enjoy the soothing air and soft waves of water at the beach. Lighthouse Beach is the most popular beach here but the liveliest is the Hawa Beach. Eat at: Ayur Restaurant at the Lighthouse Beach and Bethel are good places to try tasty as well as healthy food. Shop at: Little Tibet Arts (located between Coconut Grove Restaurant and Malabar) is one of the best places to buy souvenirs, here. Munnar: Popular for vast plantations of tea, this hill station is as beautiful as can be imagined. Its misty mountains, green lands, tall palm trees, and several waterfalls add to the beauty of this wonderful place. This is a must visit for every traveller. Elephant Safari, Rock climbing, and Rappelling are activities that are worth trying here. You can also indulge in Yoga at Kaivalyam Retreat. Eat at: SaravanaBhavanin the city centre and CampNoel in Pazhathottam will offer you a good eating experience. Shop at: Abbas & Co. Tea Merchants, for tea, coffee, green tea, aloe-vera gel, spices, cashew-nuts, and of course home-made chocolates. Wayanad: Known for famous hill resorts in North Kerala, Wayanad district is situatedat the Deccan Plateau’s southern tip. The district is well-known for spices, waterfalls, and its wildlife reserve located in between the misty hills. The Wayanad Wildlife Sanctuary has a great variety of flora and fauna including sandalwood and tall eucalyptus trees, graylangurs, Royal Bengal Tigers, peacocks, and spotted deer. The place has pristine jungles, with caves and waterfall that add to its glory. Water Sports: Kerala is great for indulging in various water activities such as Canoeing, Kayaking, Para-sailing, Snorkelling, and Wind-surfing.Canoe races can be participated in Backwaters of Kollam. Anotherunique activity is Catamaran sailing that can be done at Kollam Beaches.Options for Para-gliding are available at Vagamon, Varkala, and Munnar. Adventure Sports: Trekking, Rock Climbing, Mountain Biking, Tree Climbing, Hiking, and Oxen- Fighting are some of the fun activities that can be undertaken by tourists who want to add some adventure to their trips. Tree Climbing is very popular among tourists as it provides a unique opportunity. For safety purposes, climbing equipment consisting of a seat and pedal unit is provided. Cruises: Tourists can cruise by renting a houseboat from Ashtamudi Lake and enjoy the Kollam backwaters. Speed Cruise in Akkulam Village, Trivandrum is also famous. Here you can get several options including Banana Boats, Jet Ski, Speed Boats, and Water Scooters. For some thrilling adventure you can cruise around in a traditional narrow body fishing boat to Kochi Highseasand can also spot cute dolphins there. Safaris: Bullock Cart Safari in villages of Palakkad and Elephant Safari at the Thenmala Eco-tourist Village are thrilling options you can enjoy, among others such as Jungle Safari, where you can enjoy the beauty of the forests, and Nilgiri Safari, to take pleasure in the mesmerising uniqueness of the Blue Mountains. Grand Kerala Shopping Festival: Heldfrom December to January, this time is perfect if you are looking to get some heavy discounts and sale on all kinds of items. 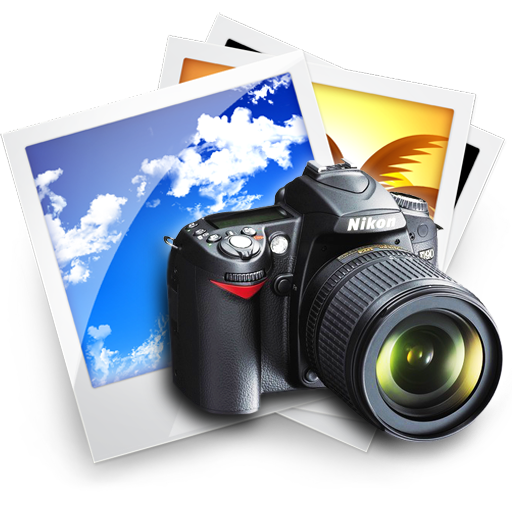 Weekly lucky-draws Scratch and Wincontests, and Gold prizes,attract tourists from all over. Must buys include traditional handloom cloth, murals and famous oil paintings, coconut shell products, and naturally scented fans made from lemon grass. Ayurvedic Spa: World famous for its 5000 years old Ayurvedic practice, Kerala has many treatment centres and hospitals that claim to provide natural cure for chronic illnesses. Famous ayurvedic centres are Samajan Ayurveda, Abad Revival, and Vaidyaratnam. Tourists can also take pleasure in head massages and body massages that can leave them refreshed and rejuvenated like nothing else can. •	Drinking Alcohol in front of a child younger than 15 yrs old is illegal in Kerala. 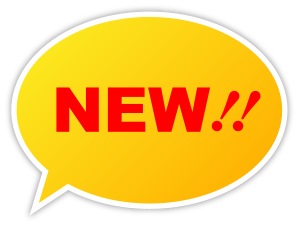 •	You can try to bargain at gift shops as most vendors will agree on a price less than mentioned. •	Firmly tell the kids selling stuff on the beach to go away or else they will stick to you through-out. •	Do not touch or feed the elephants in absence of Paappan, the elephant master. •	Ask if entry is allowed before entering any temple. Do not forget to remove your shoes before going in a temple. Three International airports, long-haul train services to major Indian cities like Delhi and Mumbai, and bus service for local travels make Kerala an easy to reach place for tourists everywhere. You can also travel by road as several national highways connect to cities in Kerala. Besides the usual options of planes, trains, and taxis, you can enjoy a ferry ride from Mumbai or Goa to Kochi, a major port in Kerala. The tropical climate of the state makes it a pleasant place to be in, all round the year. Tourists flock in large groups irrespective of whether it is summers, winters, or monsoon, as Kerala's unique charm is unaffected during all the seasons. If you want to avoid the monsoons, you can visit during September to May. Is Kerala Safe for Tourists? Absolutely! Kerala is a safe place and you do not need to worry at all. Though we would suggest you to exercise caution and not roam around late at night. Also, make sure to ask your hotel to provide a taxi, or hire one from pre-paid counters. Kerala Backwaters Tour:After an evening of sightseeing Cochin by boat the next day is followed enjoying in the misty mountains and awesome waterfalls of Munnar. Visiting tea plantations, wildlife, and bird sanctuaries, the famous spice market, and a trip to a Shiva Temple will make this trip worth remembering. Numerous boat cruises in traditional houseboats through-out your tour will give you a time of your life. Kerala Ayurveda Tour: An 11 day tour that includes an alcoholand tobacco-free week of therapeutictreatment withherbal massages and steam baths, a diet plan specially designed for you, and yoga training that will benefit mind, body, and soul in ways unimaginable. A calm evening to relax followed by a boat ride at LakePeriyar the next day will be all the things you need to give you an amazing Ayurvedicexperience. 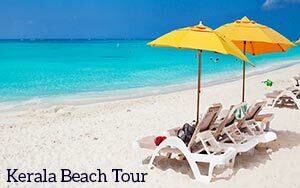 Kerala Beach Tour: A 20 day tour of the best places in South India including theMerina Beach of Chennai, Pondicherry’s Township of Auroville or the City of Dawn, and the famous Meenakshi temple of Madhurai. ABoat cruise at Lake Periyarand a day at Snake Boat Race Festival will make your trip worth remembering. The tour will be incomplete without a trip to hill station Munnar and the Queen of the Arabian Sea, Cochin. Kerala Cultural Tour: A tour through one of the most enchanting places, Kovalam in Kerala, will take you to Palaces, museums, art galleries, reptile house observatories, and more. A backwater cruise from Quilon to Alleppey, Safaris and boat rides through Periyar, and a day in one of the untouched hill stations of South India, Munnar, will leave you mesmerized with the beauty of this state. 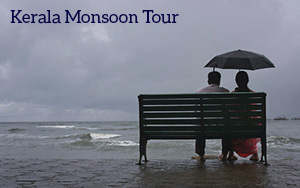 Kerala Monsoon Tour: One day you will be at the most architecturally advanced places of Cochin and another day you will be transported to the beautiful land of fresh green tea plantations of Munnar. A visit to the Mattupetty Lake and a Wildlife Sanctuary in Periyar, thrilling Elephant Safari, and a boat Ride on Lake Periyar will make your tour full of fun. 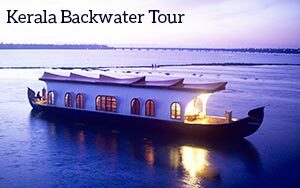 To end the tour, you will cruise the backwaters of Kerala and enjoy the serene beauty. 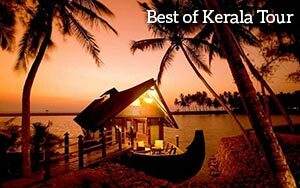 Best of Kerala Tour: A 9 day tour of Kerala will take you to the best places of the state, through the architecture city Cochin, the picturesque beauty of Munnar, Wildlife sanctuaries of Periyar, a houseboat cruise from Kumarakom, the jewel of Kerala toAlleppeybackwaters, sun-bathed beaches of Kovalam, and a fun-filled excursion of the southern-most city of India, Kanyakumari. Holiday India offers customized tour packages to Kerala that best suits your requirements and budget. Explore and enjoy these Popular Tourist Places in Kerala by calling us today!